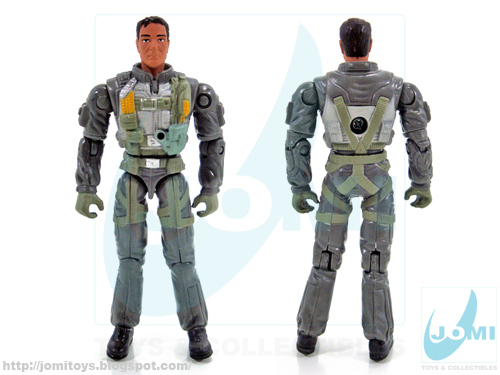 So it´s time to kickstart the Joes here at JoMiToys. 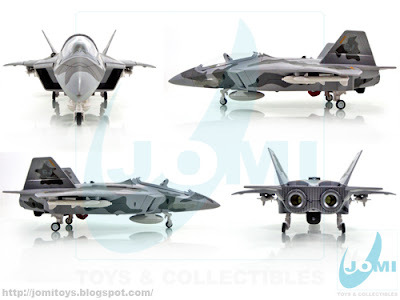 A lot of stuff to view of the most spectacular toyline ever, and I do apologize if someone takes this to heart and thinks differently. And starting with a bang, the Raptor. 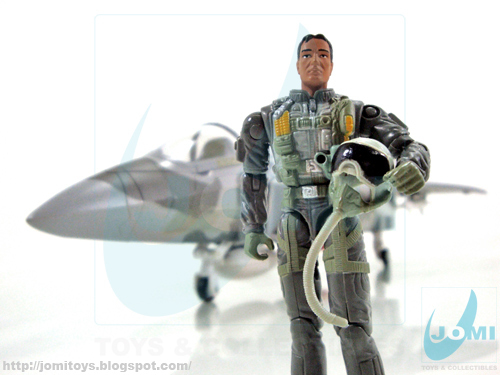 MISB, Hasbro 2004 (marked 2003). Cool, uh? 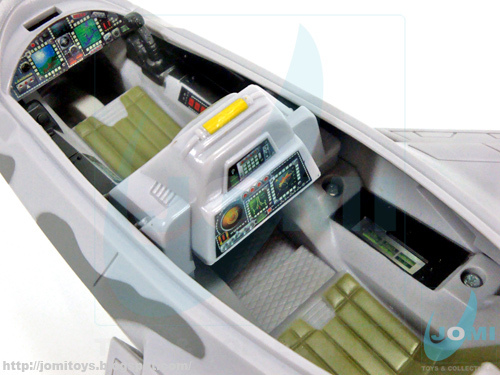 I actually got a hold of 2 of these back in the day and it was not until very recently I decided to open one up when I found the electronics (try me demo mode) were dead. At first I thought it was just the batteries, but when opening it, I found out the batteries had really died and over the contacts leaving them in need of cleaning. Fortunately, no big deal and soon after the F22 was already roaring again! Included accessories. 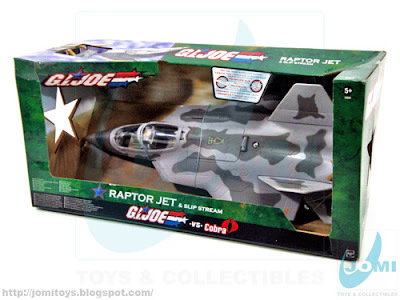 The Raptor Jet came with 10 missiles and 4 bombs. 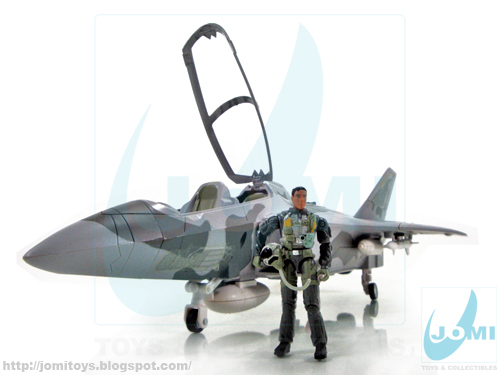 Vehicle: G.I.Joe Raptor Jet, known worlwide as "Thunderwing". 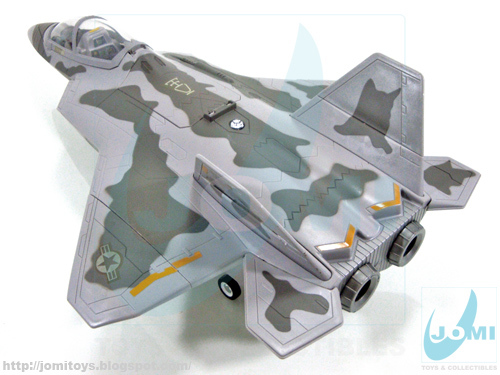 A beautiful toy and probably one of the best F22 at 1:18. The right colors, the right height, the right brand! Of course it IS a toy, so you have to expect differences, but considering there´s the True Heroes Fighet Jet version and the Chap Mei Devil Hunter, and some others, this is a beauty! 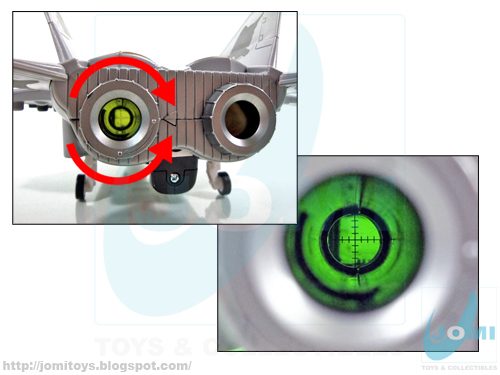 Mirrors on the belly are sights for bomb mode. 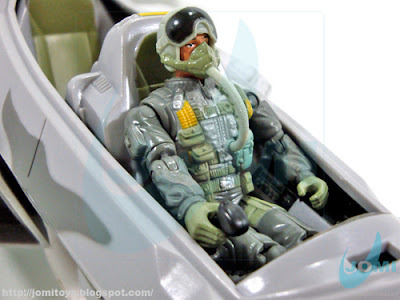 Included figure: Slip Stream. Skills: Fighter Pilot, Computer Technology. Spectacular-looking helmet that fits like a glove. Let´s kick the tires and light the fires! You have to give credit when credit is due. 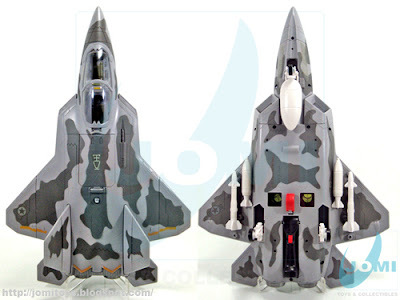 After a few Jet-failures through the years, Hasbro did a great job here. Handle comes down to fire missiles and bombs (depending on the selected option). Missiles (10) are loaded into a revolver drum. 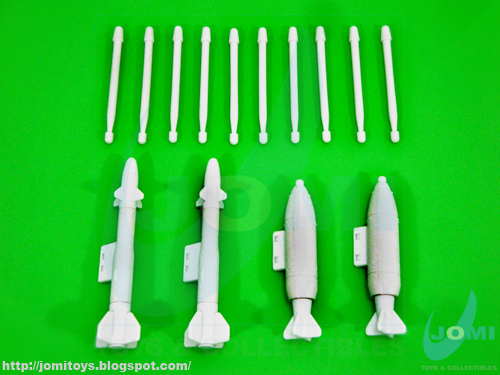 Lift hatch and insert missiles. 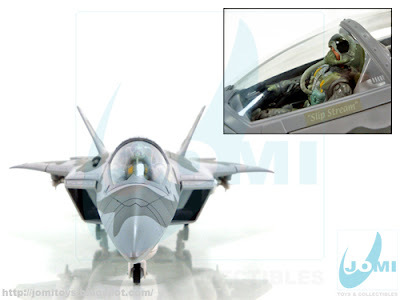 When missiles are selected (rotate left turbine), the mirror system allows you to point forward and fire the missiles that come off between the front landing and the nose. 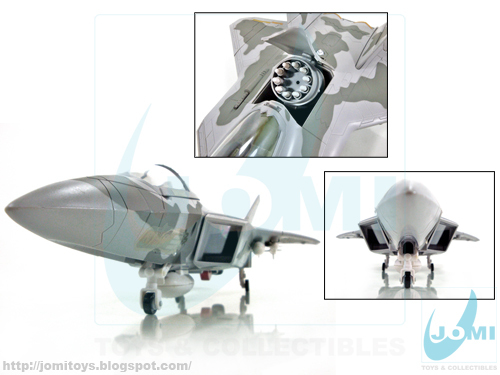 With missile firing and target destruction sound effects. 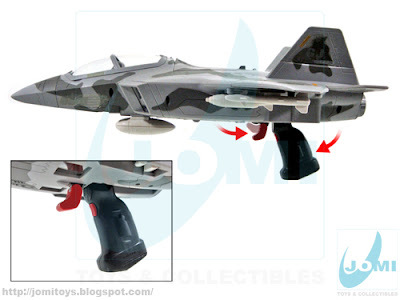 When bombs are selected, pressing the trigger drops the bombs and also with great sound effects. I just love that joystick that comes with this Raptor. And an amazing set this is. 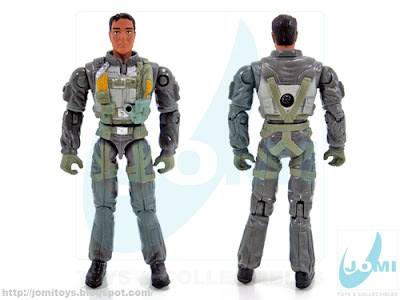 Slip Stream also seems to have a slightly darker skin, but it may be just a slight variation. The box may be different, but the content is the same... awesome! Check out www.gijoeportugal.com for some other cool pictures of this and more Joes and Cobras! 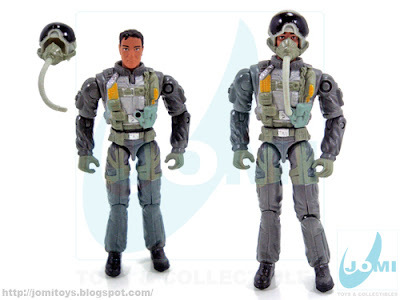 I love the Joes so am happy to see you doing some reviews of them. Well, I figure this place is needing the line, even for comparison. I sometimes write "like the joe this or the cobra that", it´s time to show what I´m talking about. I mainly focused on other lines because nowadays a lot of people do Joes, but I had a lot of fun with this jet and have hundreds of others in line. So it´s gonna be a fun ride. Hope you enjoy :) And thank you again for your comments!!! @actionfig: Thank you! I must say I understand where you come from, and although I have the whole line, I had it MIB and MOC. All of them. But one of these days, I just thought: Why not open them and see what it brings? And what do you know... they are truly awesome! More on the way...a LOT more.